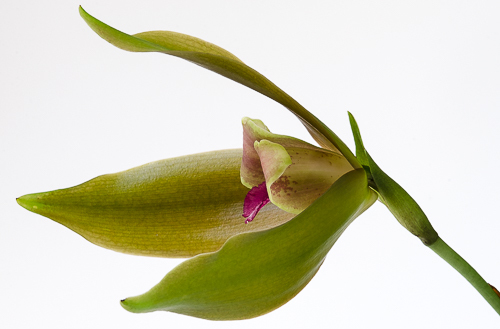 Among all of our Lycaste species, this could be my favorite. 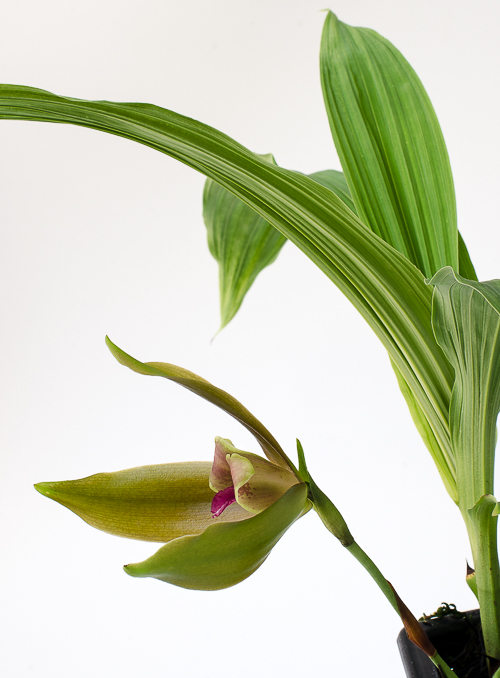 Of the two or three dozen Lycaste species in cultivation, most fall within the traditional spring floral color spectrum--pinks, yellows, whites. Not this one. 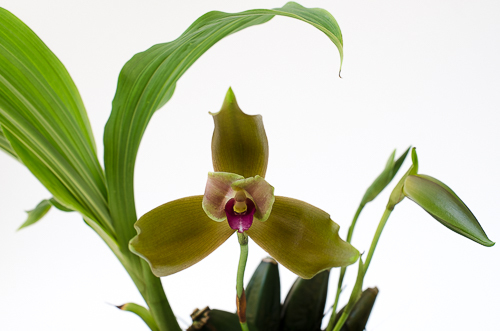 This is Lycaste schilleriana var. rosea. I love the deep olive green of the sepals. They are olive on the exterior and bronze on the inside. 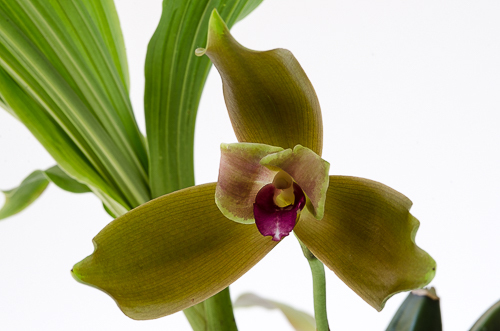 Even more remarkable is the extraordinary length of its sepals. Each sepal is about 3 inches long, giving L. schilleriana the widest flowers in the genus. The buds look like elongated beaks. 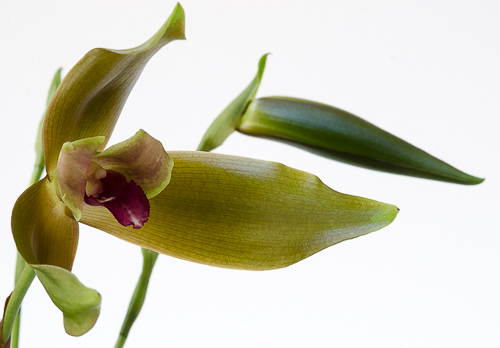 Lycaste schilleriana var. rosea likes a greenhouse at the cool end of the intermediate temperature spectrum. For now, our plant resides in our shadiest most humid greenhouse right next to the wet wall, where the summer daytime temperature maxes out at about 83º. If the current warming trend continues, we may have to move it to the Tropical High Elevation House. Lycastes are pollinated by Euglossine bees. 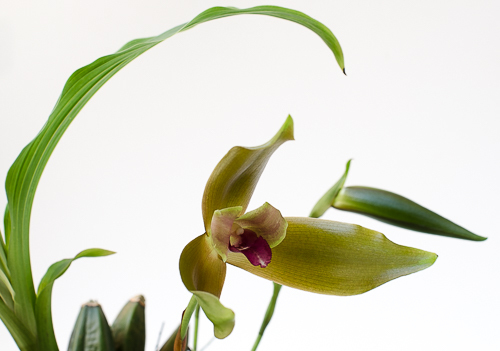 Lycaste schilleriana is known from Panama and Colombia where it grows as a lithophyte at around 1400 meters elevation.